Pic(k) of the week 13: Aviation overdose? If all goes as planned, in 12 hours time, I should be on the upper-deck of one of the Emirates Airbus A380's, on my way to New York JFK. Flying as a passenger, I plan on connecting with a JetBlue flight to Orlando, Florida, where I'll be attending the yearly "Spring Break for pilots". Sun 'n Fun 2011 at the Lakeland airport 1 hour west of Orlando, is the worlds second largest annual fly-inn (after Air Venture at Oshkosh, Wisconsin). It completes my bucket list as the last of the three major "must see US aviation events", after Air Venture and the Reno Air races in Nevada. Beside my 3 day attendance to Sun 'n Fun, I plan on visiting the Kissimmee Air Museum, Fantasy of Flight and plan on getting a quick seaplane ride at the Jack Brown's Seaplane Base; "Aviation overdose" for Aviation Photography! 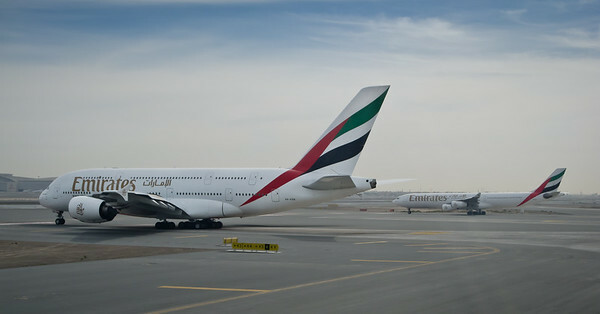 Expect on location Facebook and Twitter updates and more aviation photography blogposts once I get back to Dubai. 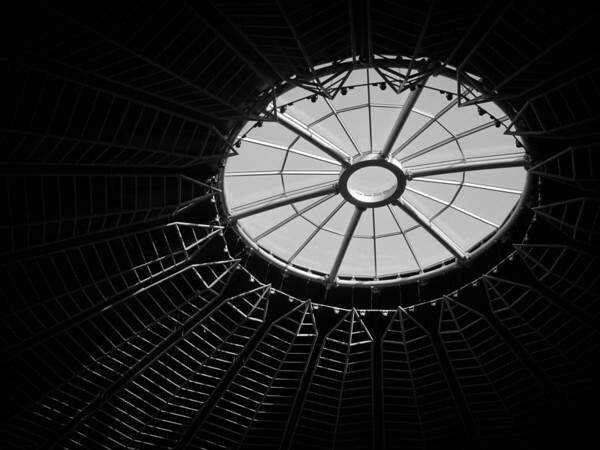 Still on the subject of Black and White Architectural photography, I shot this image of a light dome at the Dubai Marina Mall last week. Always carrying some kind of camera, pays off! Yes, this was shot with my Compact Nikon P7000. Remember, the best camera is the one with you! If you follow my Architectural work, you probably know that I really enjoy shooting high contrast Black and White (B&W) images. Last week I made the following mini-series at Burj Khalifa, the worlds highest tower in Dubai. 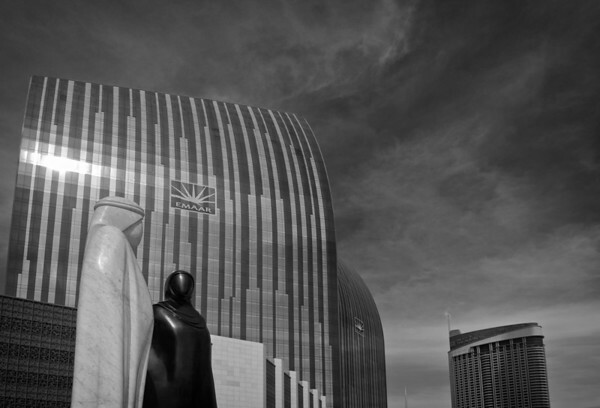 More of my Black and White Architectural photography can be found here. If it wasn't for the "modern" boats in the image, one could easily think it was made in 1855! Well, it obviously was not... While I was in Venice for the 2011 Carnival last week, I made the image above of Piazza San Marco from one of the Vaporetta. Originally shot in color, I then applied an antique look in post-processing using Nik Software SilverEfex Pro. I'm pretty happy with the old feel of the image, largely due to the amount of film grain in the photograph. 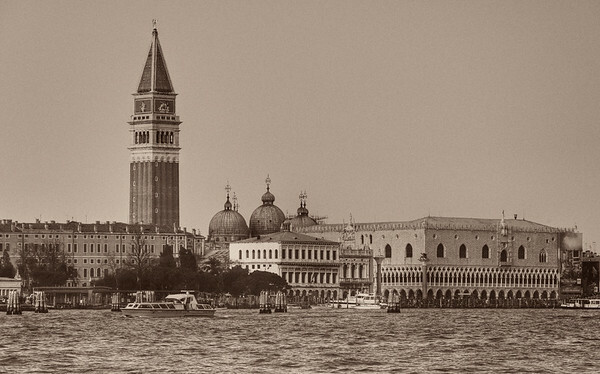 Over the years, I have collected quite a few travel images of the amazing city of Venice and its neighboring islands. These can be found here. The Venice Carnival is the largest and most important of the Venetian festivals; a cocktail of tradition, entertainment and history, of a unique city in Northern Italy. Every year the festival celebrates the passage from winter to summer and attracts thousands of visitors from all over the world. The official start, dates back to 1296, when the most humble of the classes became the most powerful by wearing masks during the Carnival time. After an interruption of almost two centuries the festival was relaunched in 1980 and has since been held annually. Internet research told me that shooting the masks with thousands of surrounding tourists would not be an easy thing. In order to get clean images, the participants get together at specific places and times. Pro and semi-pro photographers can then shoot them interrupted after which business cards are exchanged so the images can then be send out after the event. A great solution for both parties! The first spot for a sunset shoot, was on a small island opposite San Marco. Since the masks (people who wear masks) are not supposed the speak, the quietness makes for a very serene and special atmosphere! Just across the water one could see the hustle and bustle of the thousands of visitors making their way through the narrow Venice streets. What a contrast! On most masks the eyes are hidden quite deeply. So shooting with speed-lights (flash) is a must. The next morning I was up before dawn (5am). After a 15 min walk, a 15 min bus ride and a 20 mins boat-trip, I arrived at San Marco square where I found about 20 photographers shooting even more masks in the pre-sunset light. And the best thing of all; not a single tourist around. My internet research really paid off! The sun peeking above the horizon just before 7am, made for some amazing early morning light. Unfortunately about one hour after sunrise, the first tourists started showing up. By then shooting up from ground level was pretty much the only option. Just before 9am I packed my gear and headed back to the hotel. Just in time for breakfast! cEven though it was my first visit to the Carnival, it surely will not be my last one. If one can avoid the massive crowds, it truly is a unique experience as a photographer! After I came home with over 800 images, I now finished the editing and have uploaded about 90 to my Venice Carnival gallery. You all made my day(s)! I've also made a 5 minute slideshow-video, which can be found on Vimeo here. While you are there feel free to check-out some other BMP videos at the new BMP Vimeo channel. This weeks Pic(k) is a bit of a teaser... Last weekend I shot at the 2011 Venice Carnival and had a blast! The teaser image above is one of the 800 images shot. More in a separate blogpost within the next 36hrs! My day (night) job has really kept me busy lately... Earlier this week, I did however find a few hours to dust off my DSLR and make some new Architectural images. 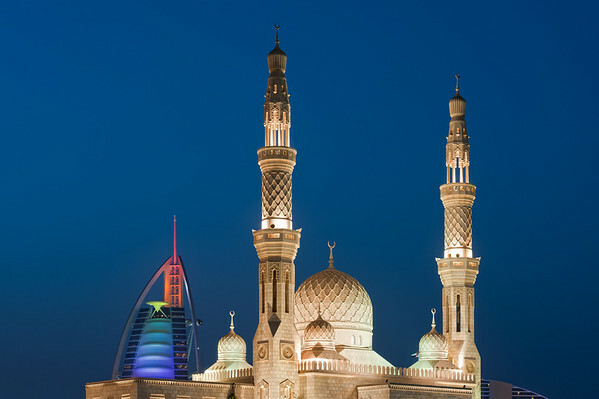 Just behind the world famous 7-star hotel "Burj al Arab" is a very nice Mosque. I had been there before, but was never really 100% happy with the images I got. I might still be missing a few percent of personal satisfaction but feel like I'm coming closer... Some clouds might do the job, next time around! Over 100 of my other Architectural images shot in Dubai can be found here. Last but not least, I'm finalizing the planning on an upcoming aviation shoot over 12000km away end of the month... more soon!